Mark Berhow is a business lawyer who focuses his practice in the areas of employment law, business litigation, director and officer liability, and insurance coverage litigation. He also represents lenders, servicers, manufacturers, contractors and others involved in real estate, construction, and other contractual disputes, as well as advises non-profit organizations in all areas from formation and governance through employment and other related matters. 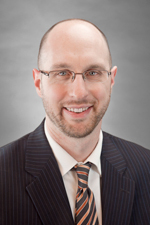 Prior to joining Hinshaw & Culbertson LLP in August 2004, Mr. Berhow was an associate with the Minneapolis law firm of McCollum, Crowley, Moschet & Miller, where he maintained an active litigation caseload in the areas of construction law, employment law, insurance coverage and products liability. He served as a law clerk to the Honorable H. Peter Albrecht, Fourth Judicial District Court, from January 2002 to March 2003, and also clerked at the law firm of Aafedt, Forde, Gray & Monson from January 2000 to April 2001. Obtained $10,000,000 summary judgment award for commercial lender in complex breach of guaranty action involving significant counterclaims. Defended numerous matters before the Minnesota Department of Human Rights, obtaining no probable cause determinations and successful predetermination resolutions. Defended and resolved a variety of Equal Employment Opportunity Commission claims against employers both prior to and during conciliation process. Defended officers and directors in $200,000,000 breach of fiduciary duty claim, resulting in dismissal. Obtained dismissal of insurer in the Federal District of Minnesota on the basis of forum non conveniens. Obtained dismissal of investment firm in action for fraud on the basis of personal jurisdiction, which was affirmed on appeal.